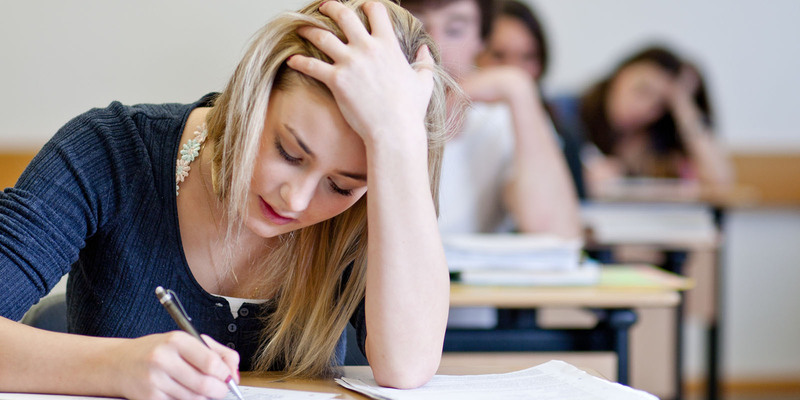 Strategy Education LtdNewsAdviceAre School Examinations Failing Some of Our Pupils? It is fair to say that throughout life, people are measured and judged against certain benchmarks, which don’t always paint true-to-life pictures of character or capability. The exact same thing can be said for our current examination system, which ignores the individuality of each student – it’s simply the strongest and fittest who survive. So, does that mean to say we are failing our pupils with school examinations? Think back to when you were a student and how you performed in certain subjects. Perhaps you were in the top or bottom set and limited by the curriculum being taught. Maybe you failed an entry exam by just one point and were then unfairly represented for many years to come. The issue of standardised testing is one that Todd L. Rose explains in his book The End of Average, which examines a study by the US Air Force to design a new airplane cockpit based on “the average pilot.” Even after measuring 140 dimensions of the human body based on 4,000 young pilots, nobody fell within the average 30 per cent. “If you’ve designed a cockpit to fit the average pilot, you’ve actually designed it to fit no one,” noted Rose. Unfortunately, many teachers don’t receive professional development once qualified, with the UK being one of the worst OECD country for this. What’s more, recruiting teachers is harder than ever due to increasing workloads and the need to input then analyse huge amounts of data. So, when you consider the fact that teachers make tens, possibly hundreds of thousands of possible assessments every school year for things like behaviour, homework, current grades and predicted grades, is it any surprise that some are calling school examinations outdated? Seeing as standardised processes are part of everyday life, from personality tests and horoscopes to performance review ratings and group appraisal targets, many parents don’t see why it’s an issue. But what about parents whose children are born on the cusp of a school year? Regardless of whether they’ll be the youngest or oldest, a decision needs to be made on holding them back until they are older or enrolling them in school as soon as they come of age. Either way, it could soon become apparent that standardised testing isn’t the best way of doing things. Offer credentials, not diplomas and degrees. Allow students to determine their pathway of study. “We all behave, learn, and develop in different ways, but these unique patterns of human behaviour get lost in massive systems that play to average performance and average abilities,” says Rose.